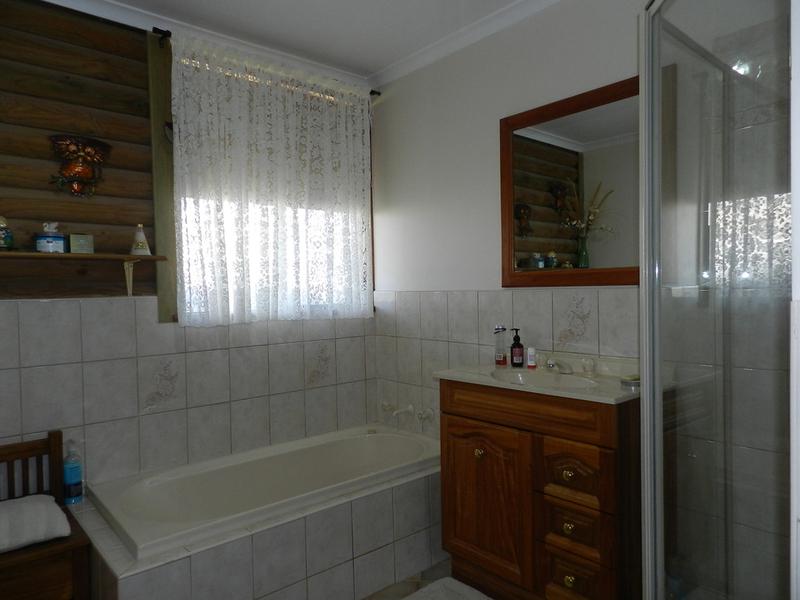 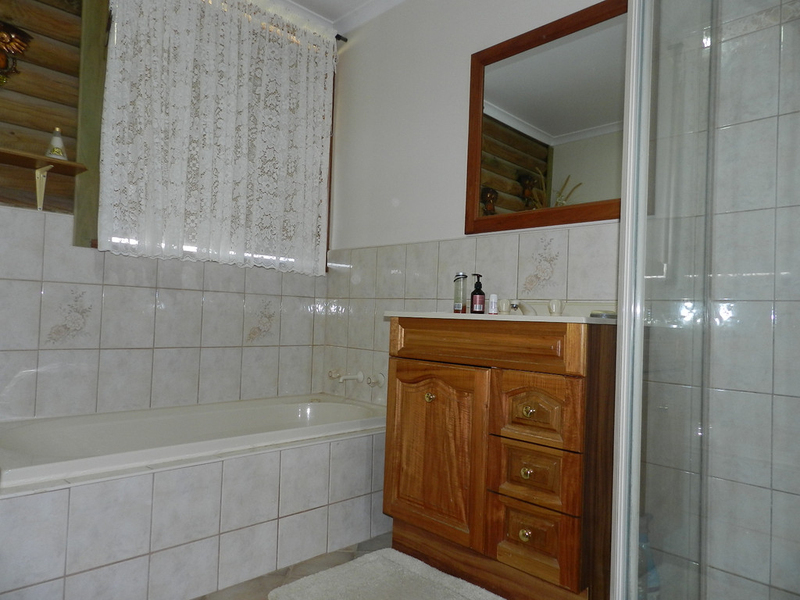 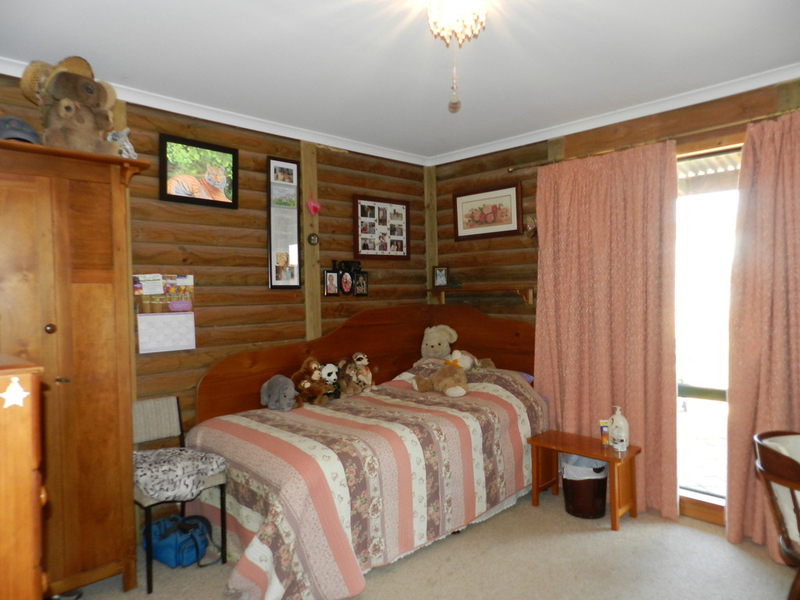 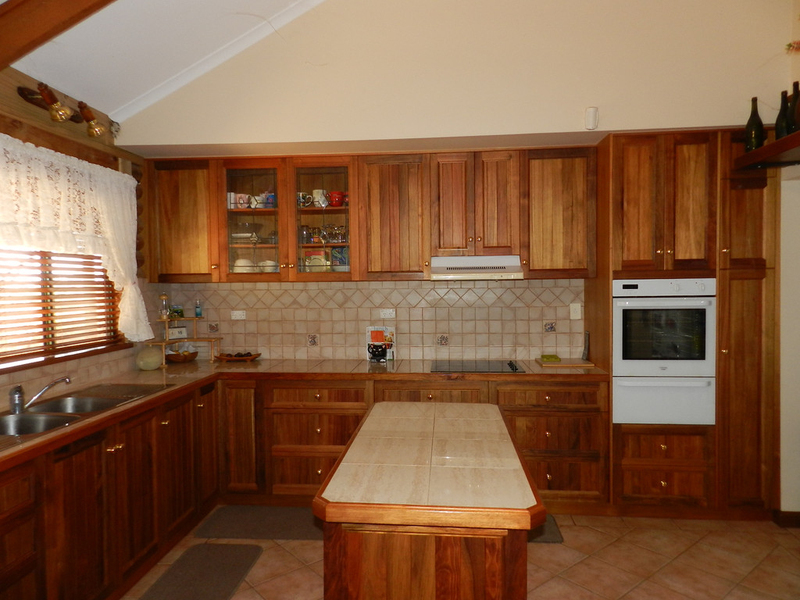 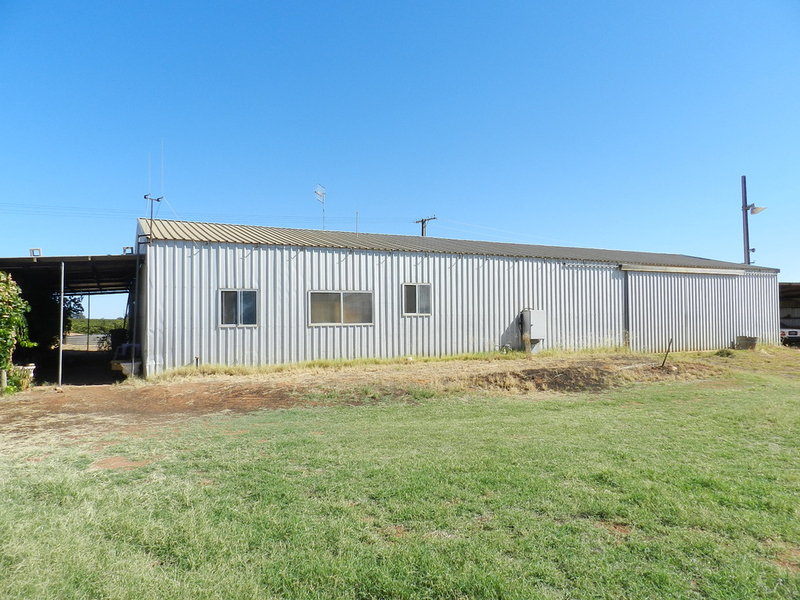 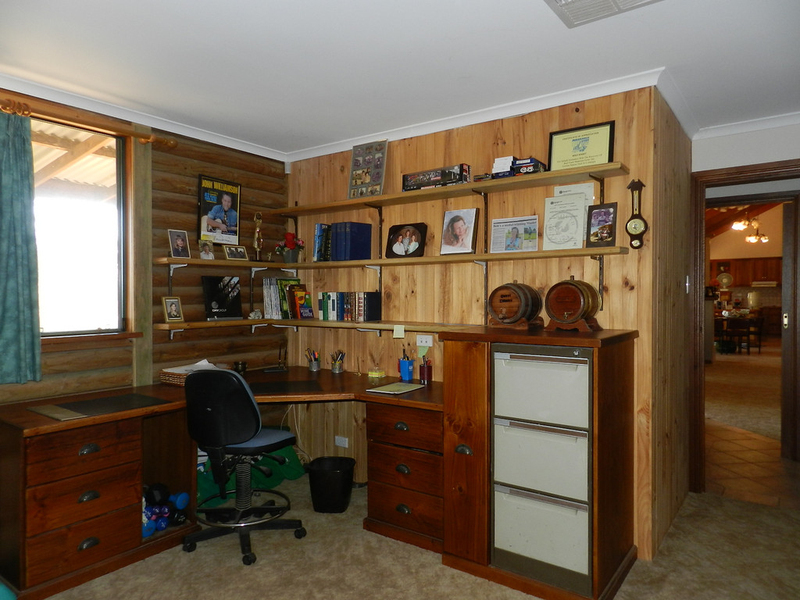 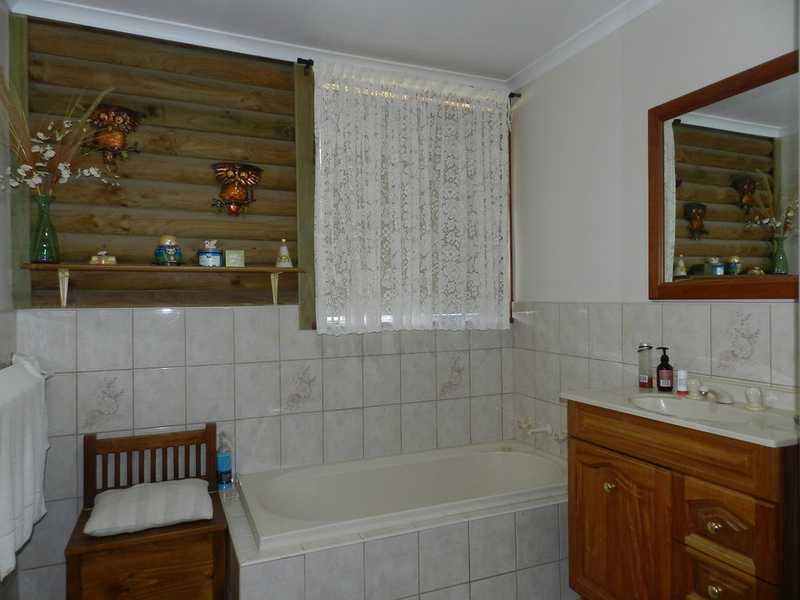 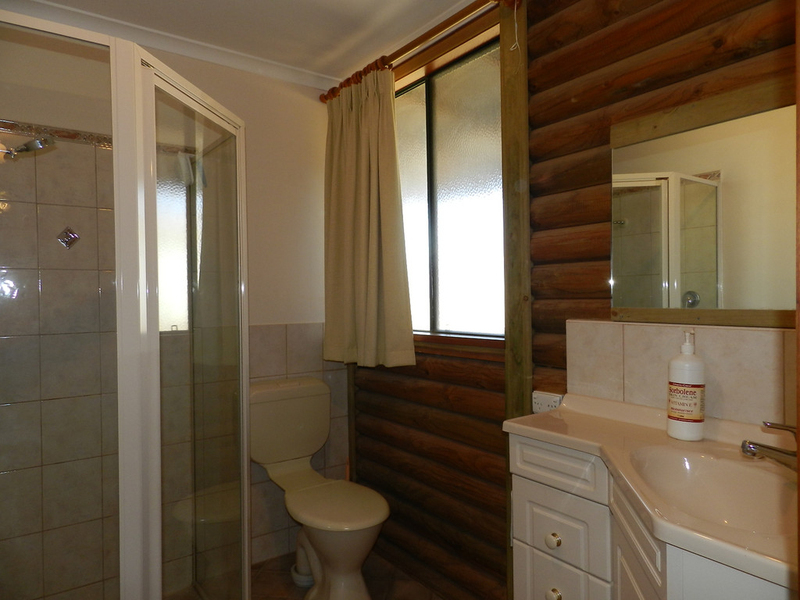 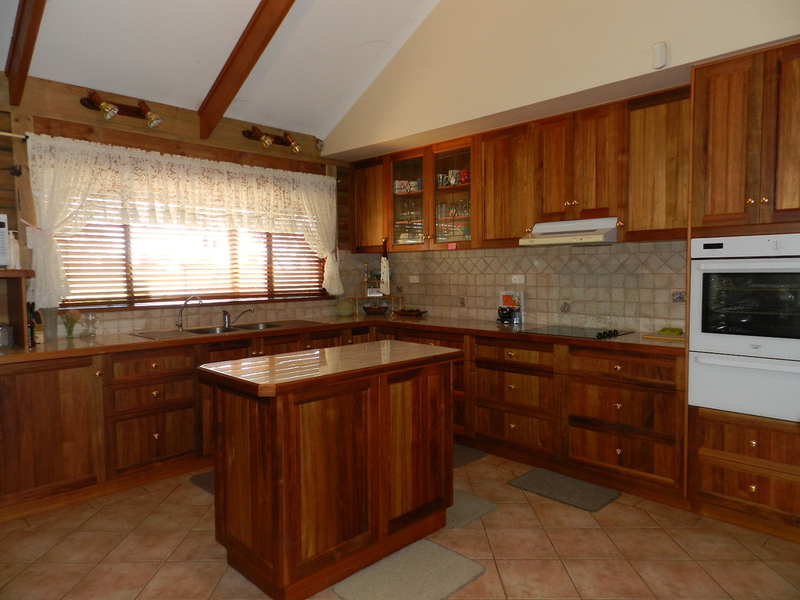 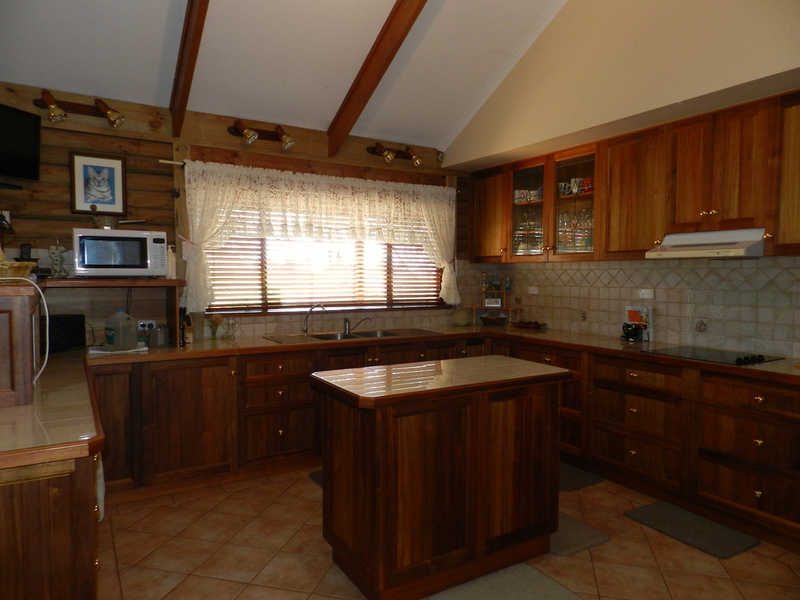 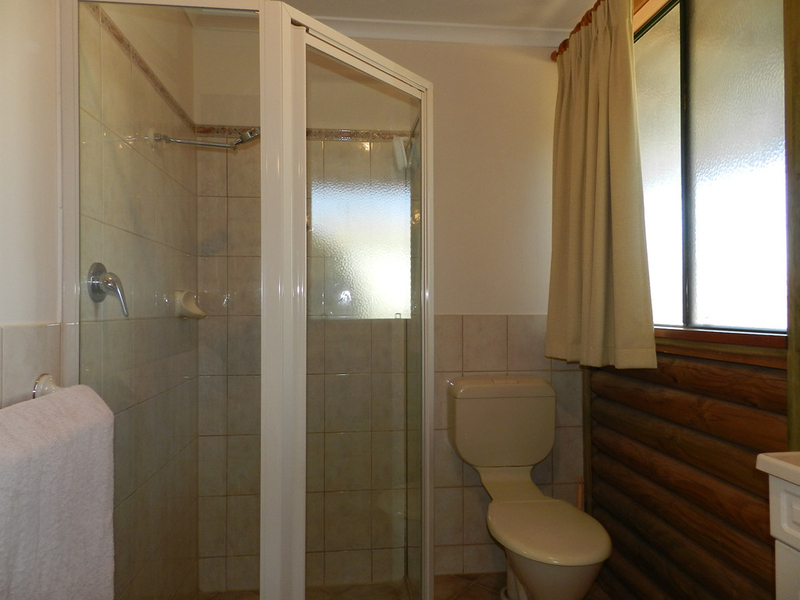 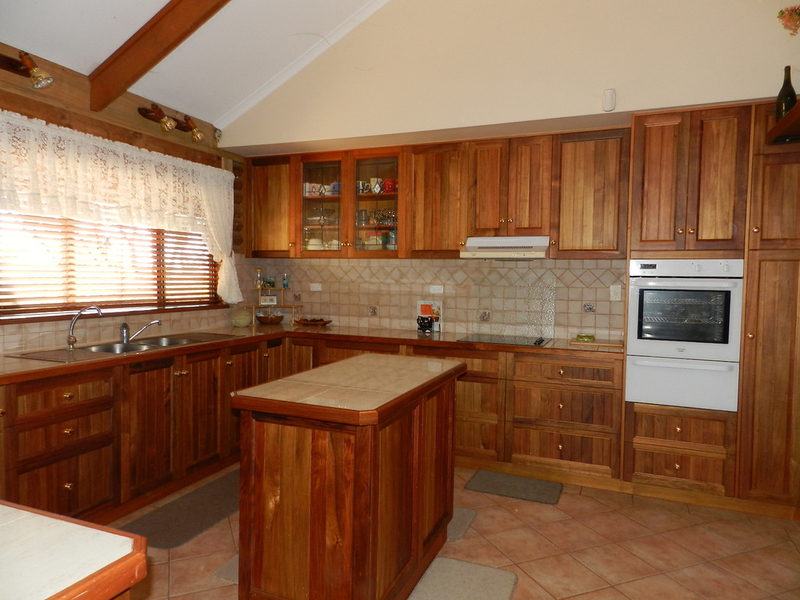 Quality built Logcabin dwelling and extensive shedding with granny flat on acreage located 5 minutes from Barmera. 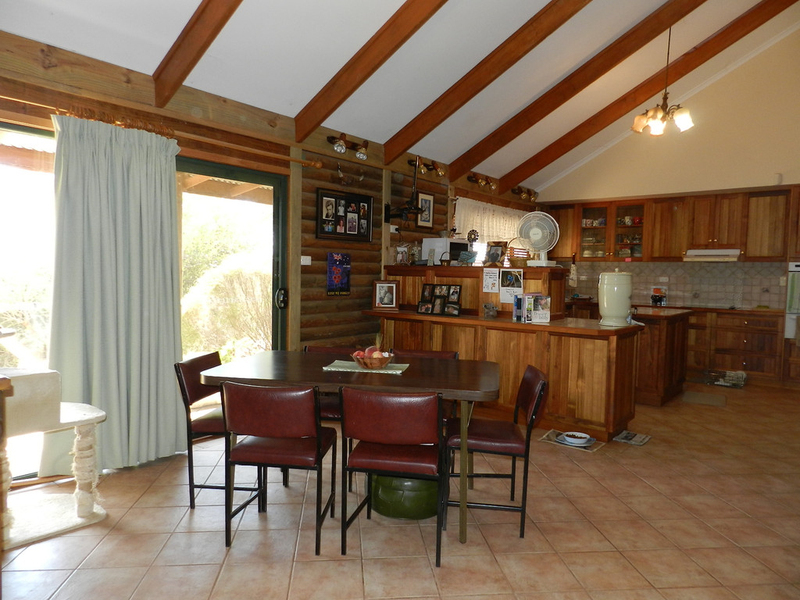 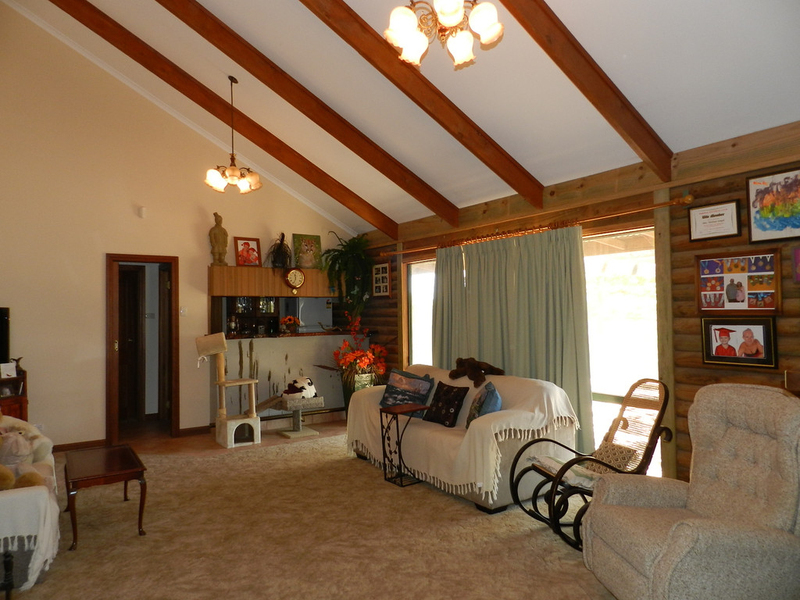 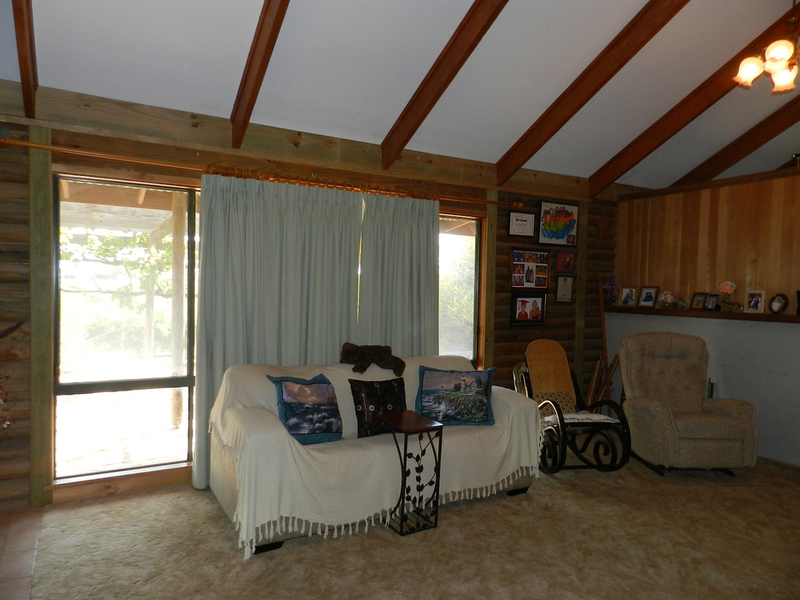 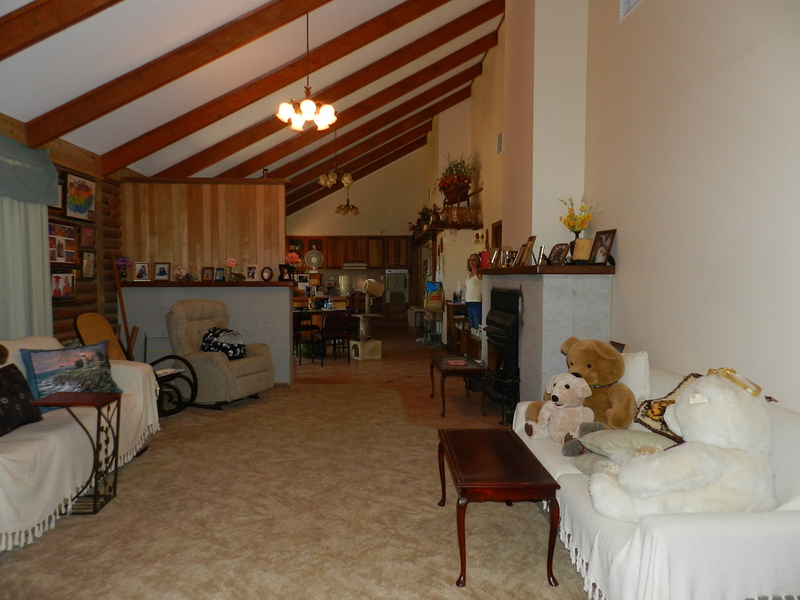 A 2004 built dwelling with timber log walls, color bond roof, on a concrete slab with a double carport, high raked ceilings and open space living area. 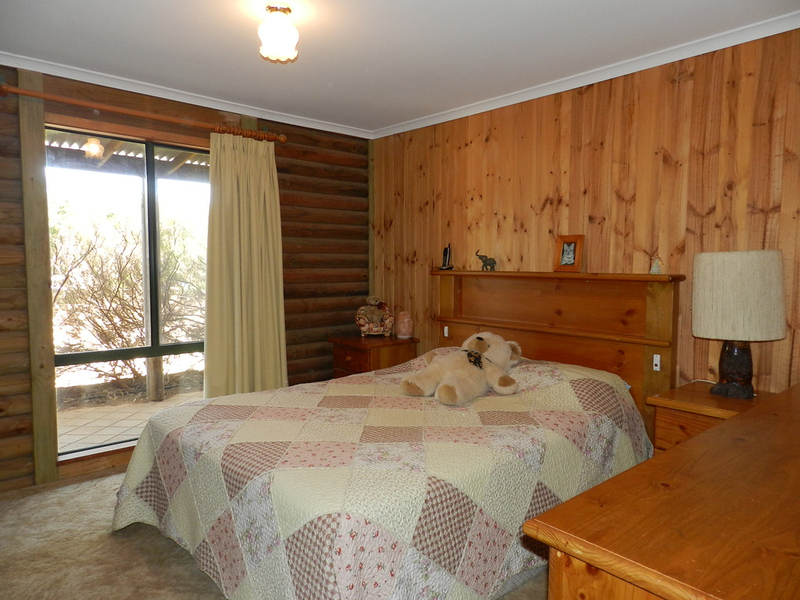 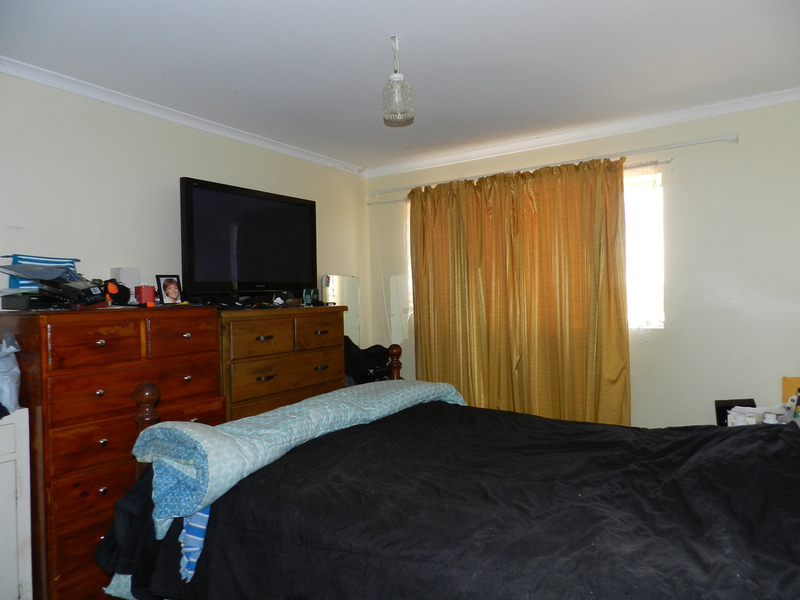 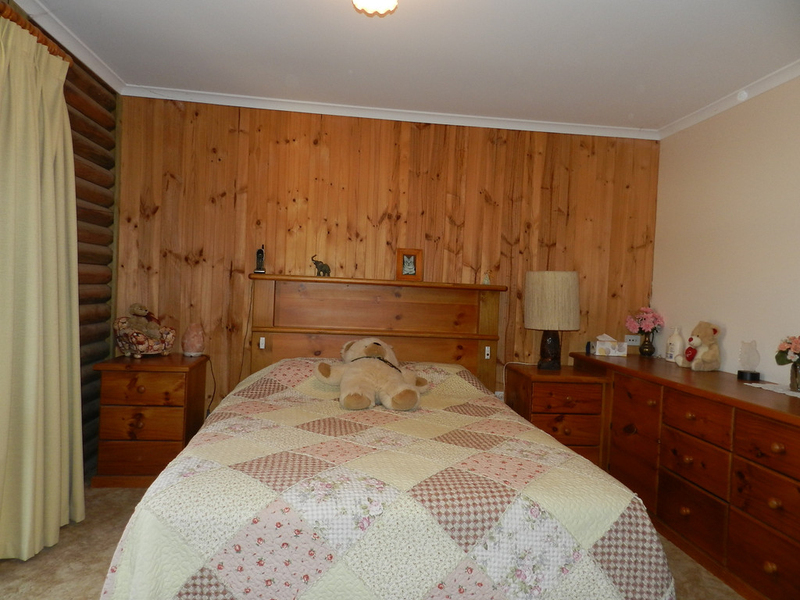 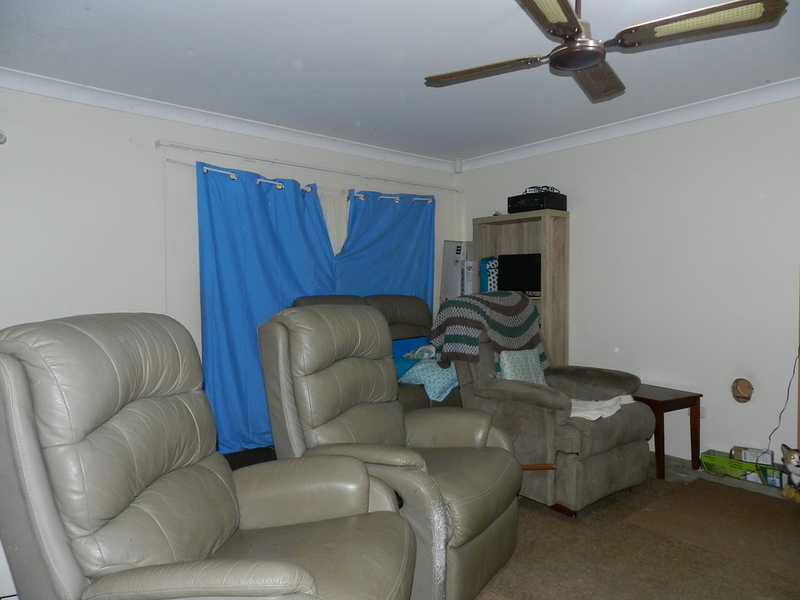 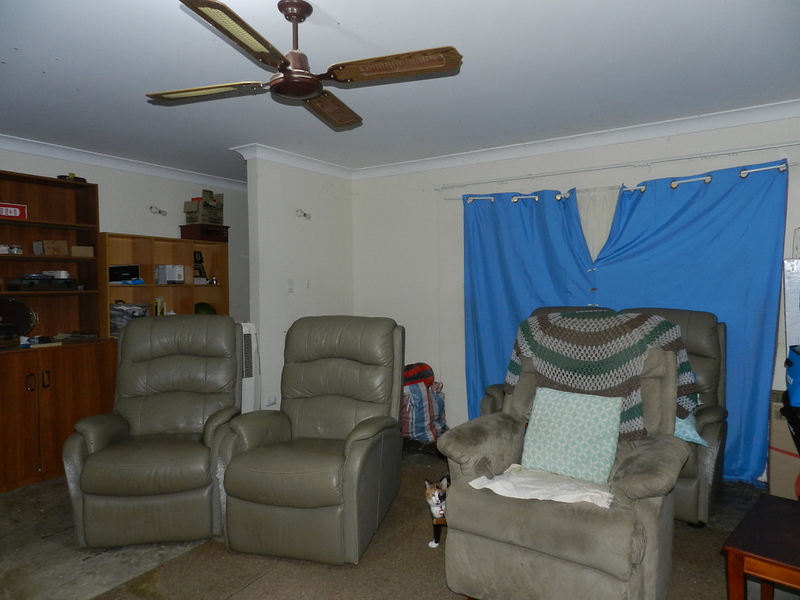 The large lounge room features a red gum bar, combustion heater, fancy ceiling lights and quality soft furnishings. 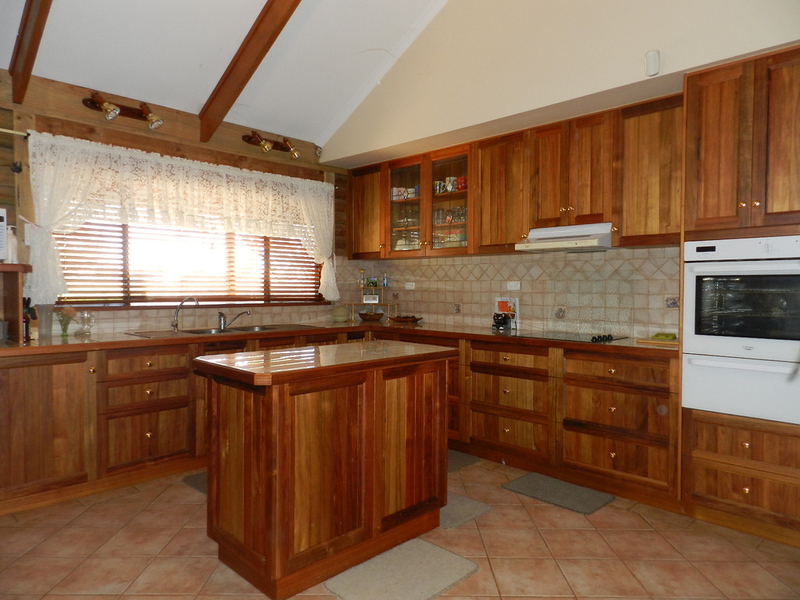 Adjacent is the dining area flowing through to the Blackwood built-in cupboards with extensive bench space, double sink, tiled splash backs, wall oven, island bench and pantry. 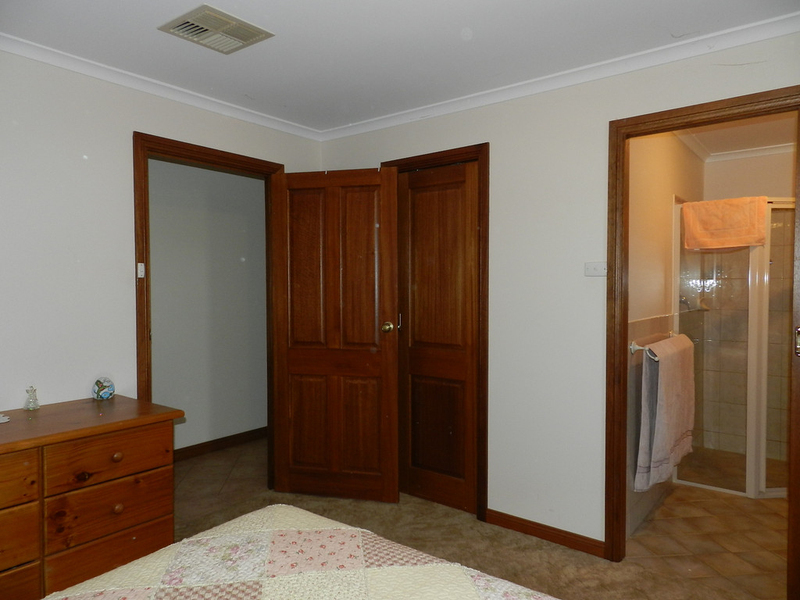 Lead light doors and large panel windows give way to views of the neighbouring vineyards. 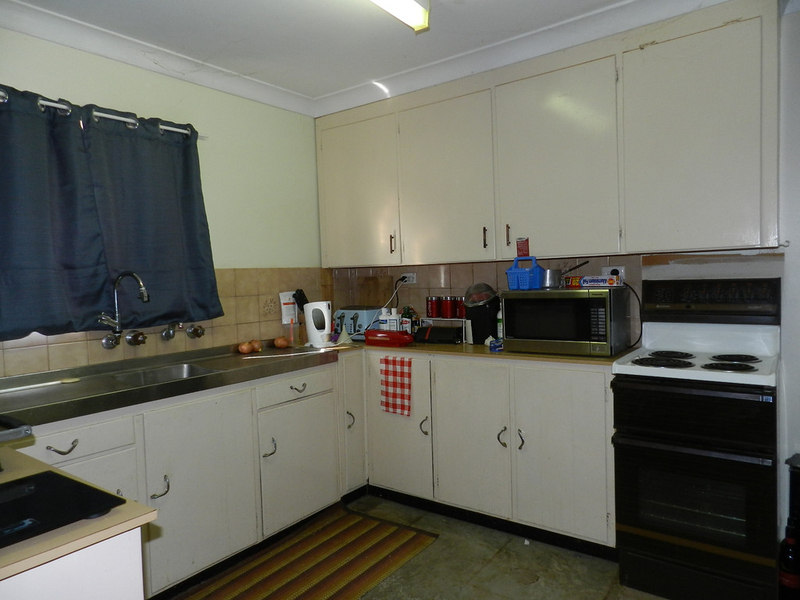 The large 5 bay shedding accommodates extra vehicles, boat or trailers with adjacent locked storage and work-shop with 3 phase power and a granny flat. 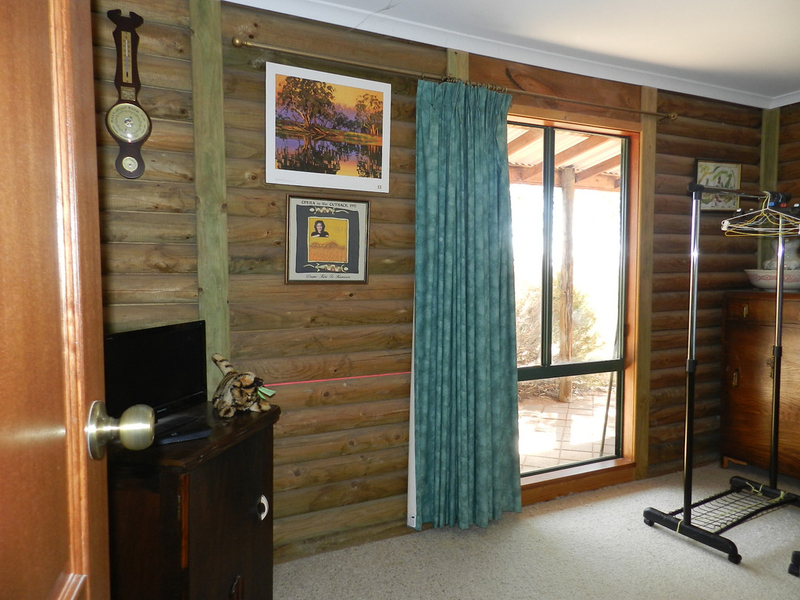 All locked shedding is well secured with an alarm system. 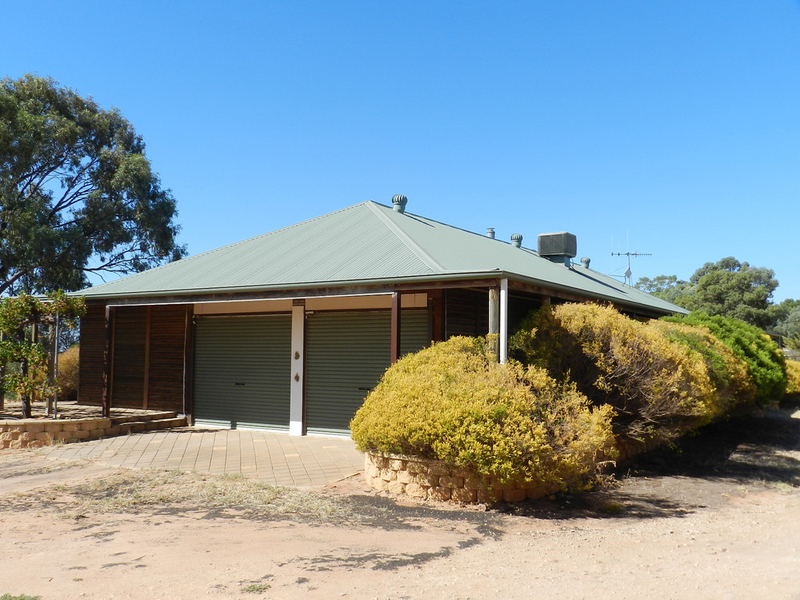 The home and shedding surrounded by lawn areas is nicely tucked away on 8,314 square metres, off Hunt Road.